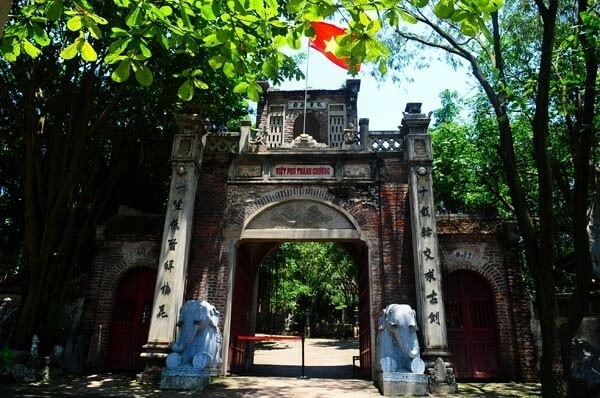 Thanh Chuong Viet Palace, located in Soc Son District, Hanoi city, about 30km from the city center, is a private belonging. It is palace of Vietnamese painter Thanh Chuong. However, it is built with the ancient architecture of Vietnam in the past and became a very popular tourism site. In an area of 800ha, the palace was built in 2001 under the idea of reserving the most beautiful features of Vietnam’s culture, tradition and architecture. 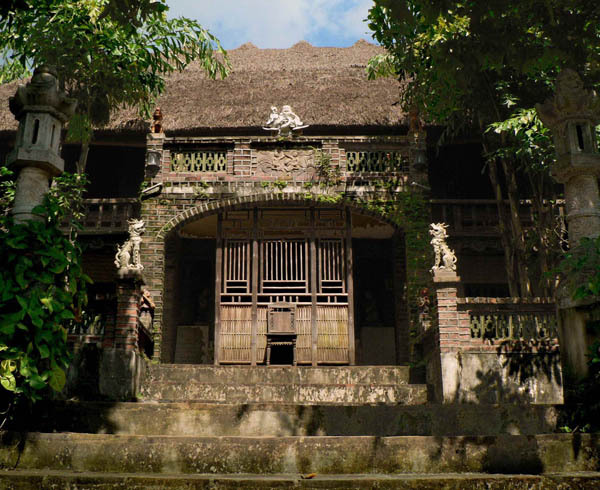 The New York Time commented: “the folk history of Vietnam is shown throughout the architecture of Thanh Chuong Viet Palace”. You can find almost all featuring attractions of Vietnam over the centuries in here. 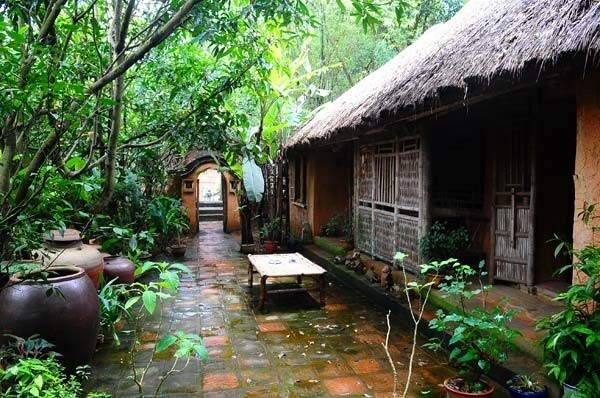 They are ancient houses style from feudal time, traditional cottages, gardens, gate, yard and other furniture of Vietnamese, etc. Everything reminds you about the life of ancient Vietnamese. Quiet and peaceful air is attractive feature of the palace. The combination of green space of trees and grass and amazing architecture will help you relax and get away from stress. 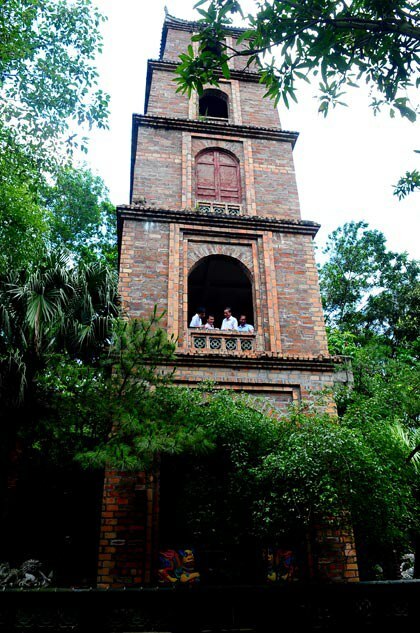 The imposing towers of Tinh Son and Thien Huong in the palace are inspired from architecture style in Ly Dynasty. Besides, there are a lot of statues of Buddha and unique works of art in Thanh Chuong Palace. 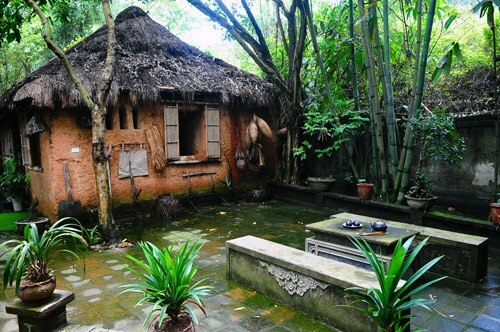 Spending one day in this site will help you a lot in discovering the tradition and culture of the old Vietnamese in long history ago. The entrance ticket is from 100,000 to 150,000 VND.